This beautiful ca. 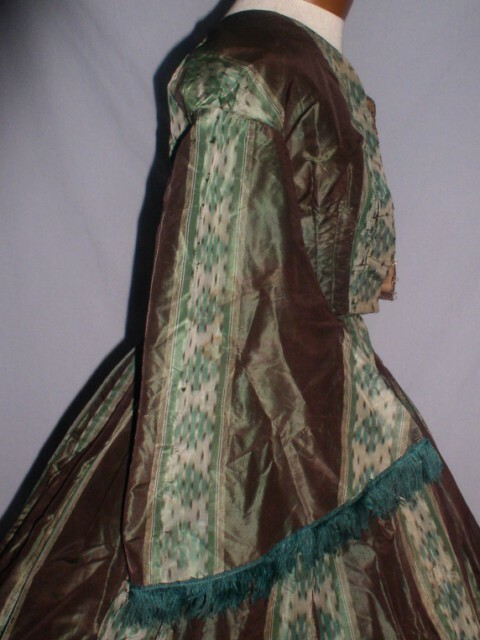 1850's Victorian dress is made from a woven silk with alternating ikat stripes in greens and browns. 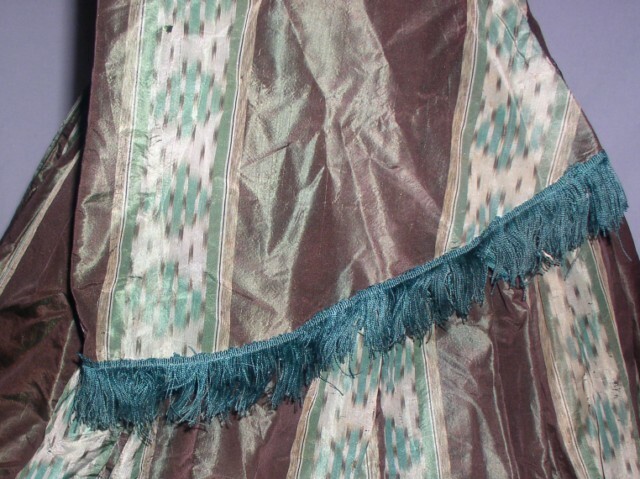 It has pagoda sleeves with silk fringe around the bottom edge. 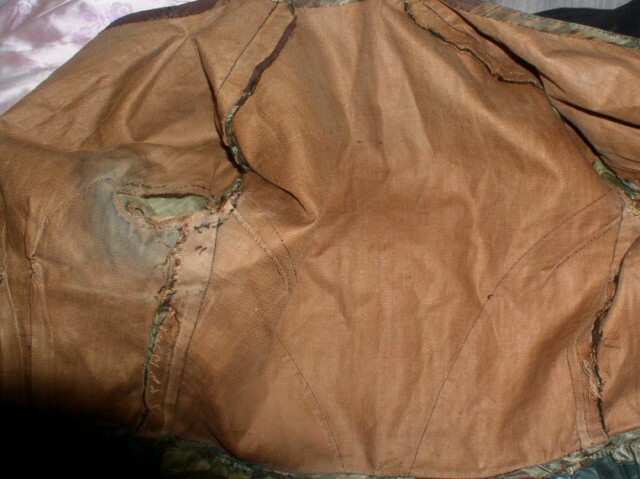 The shoulders are dropped with narrow piping in the seams, it hooks down the front and along the side of the waist. 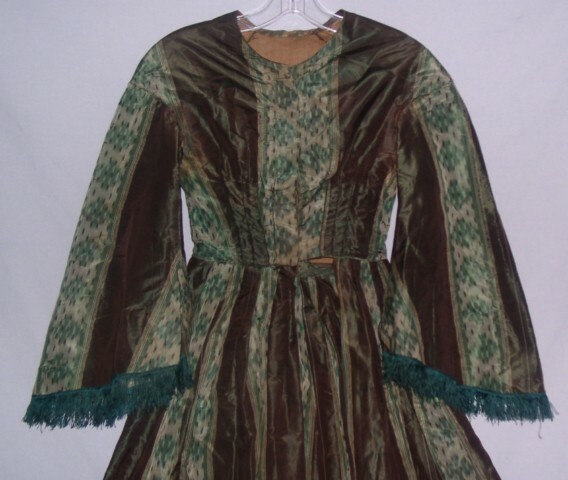 The bodice is lined in brown cotton, the skirt is lined in a dark green glazed cotton. 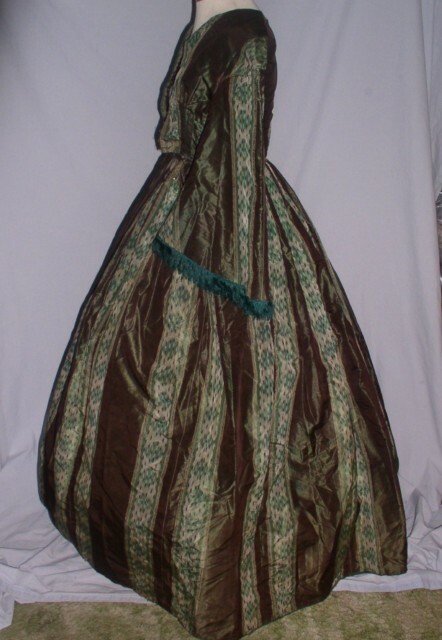 The dress is hand stitched. 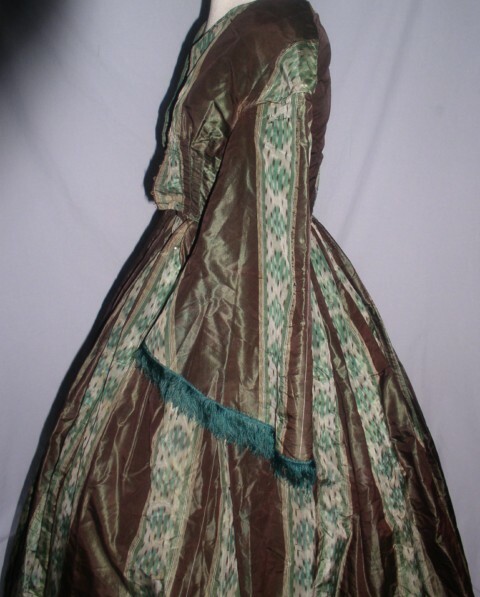 It has small faded areas under the arms, small tears on the bodice at the waist and on one side along the top edge of the neck and scattered small holes in the silk and tiny splits starting in the silk but with the green backing they are hard to see. 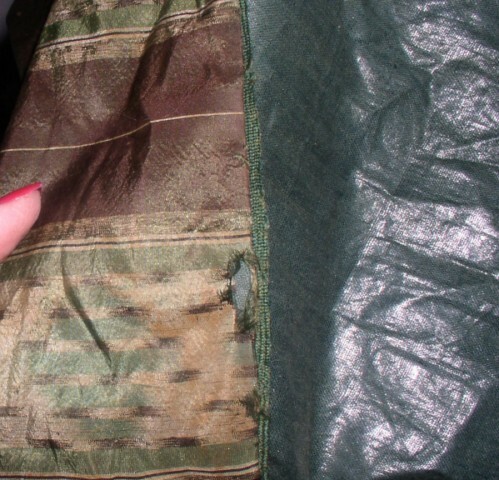 It measures 31 inches around the bust, waist is 23, hips are full, around the hem is 134 and waist to hem is 41 inches long. 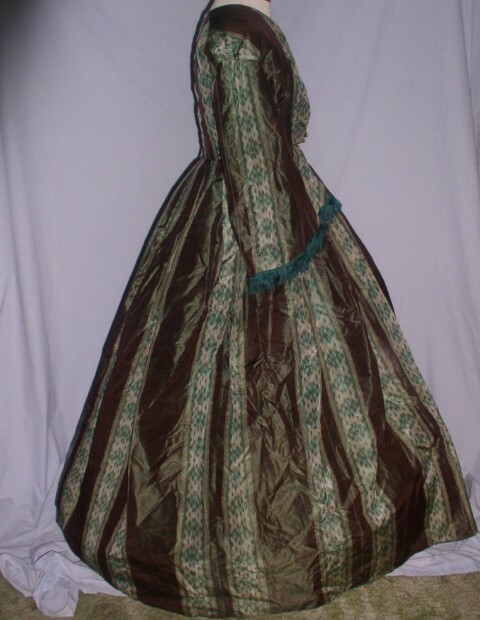 It's a great looking dress, in better condition than it sounds, perfect for display, I would say in good vintage condition. Happy Saint Patrick's Day! Everything being posted today is Green for everyone's favorite Irish Saint! 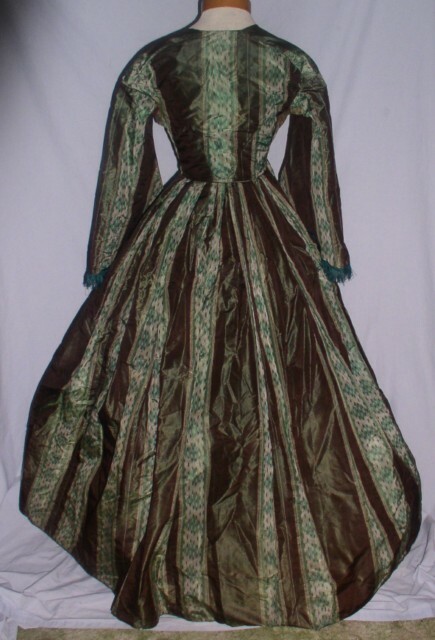 I'd actually say this is the early 1860's based on the waistline.